Sometimes serving the Lord isn’t easy. I’m typically an all-or-nothing type of girl. A downfall of this? I’m not great at juggling. I prefer to focus only on one task at a time, not multiple projects at once. That’s what I prefer. As a wife and mother, that obviously isn’t the cards that are always presented me. At one time, the Lord opened up new ministry opportunities, and I excitedly ran with what He gave me. It didn’t take long to realize that I couldn’t physically do everything I was doing, at least not gracefully. After a talk with a dear friend, she helped open my eyes to all the responsibilities I had taken. I simply listed my current responsibilities out loud, what I typically did each week and any monthly responsibilities. Those small commitments that don’t really take up much time can add up to a person who isn’t great at juggling. Next, we went down the list to see if I still felt the Lord calling me to each of those responsibilities. I knew it was time to let some go. To slow down. I began praying, seeking Him for answers, but I just did not seem to be getting a clear answer. 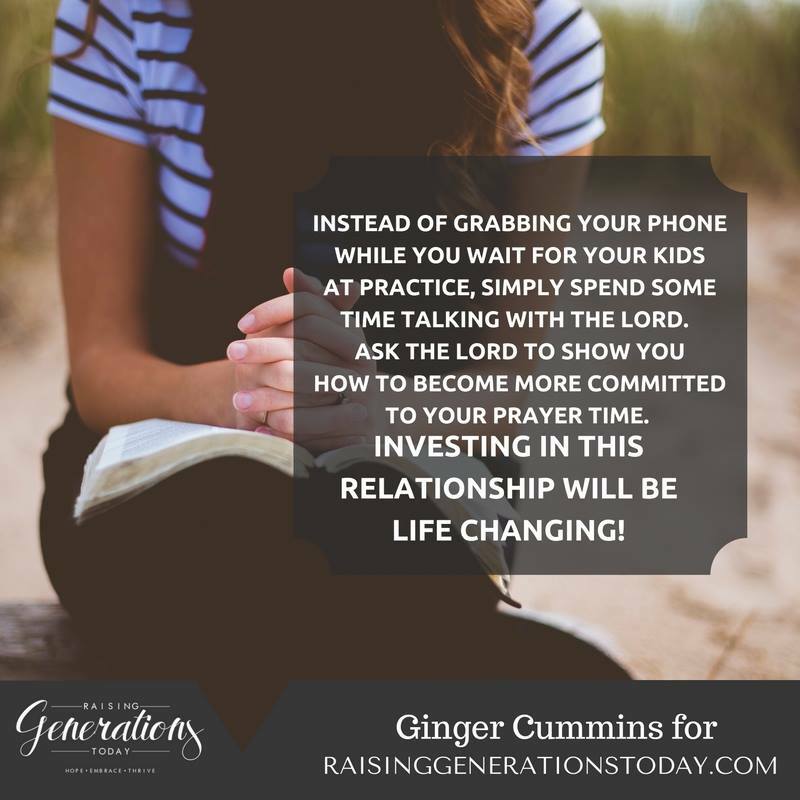 Read the rest of my article, Slowing Down and Thriving with Prayer at Raising Generations Today.